Beverly Hills Facial Plastic Surgeon Dr. Jason Diamond shares his expertise on celebrity facelifts. What is the trend for 2015? We also discuss the misconceptions of removing fat under the chin. Plastic Surgery is main stream and many people are getting facelifts younger and younger. But not all facelifts are alike and not one technique works on all patients. Patients have many misconceptions today about plastic surgery procedures, it is an easy sell. What's most important is that they have an understanding of the procedure what it can and cannot accomplish. Celebrities and models earn a living with their looks, there is no room for error, yet we all have seen some disastrous plastic surgery results. Dr. Diamond talks about his different facelift techniques and what is the new 2015 lift. 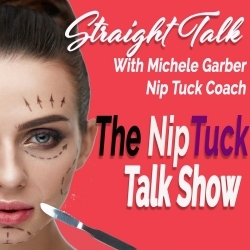 We also discuss misconceptions about fat and some of the common problems people have after procedures such Kybella, Thermage and other skin tightening devices used in the neck area. Eliminating fat will make you have a facelift sooner, according to Dr Diamond. The area under the chin and neck is a misunderstood area. A common problem he sees after liposuction,Thermage or Ulthera is that the patient's necks is more wrinkled and creppy. Most people with aging faces do not have any excess fat. Consumers need to be very careful about these treatments. Dr. Diamond is dual Board Certified by the Academy of Facial Plastic and Reconstructive Surgery and by the American Board of Otolaryngology – Head & Neck Surgery. Dr. Diamond was recognized at the 2008 Aesthetics Show as “Best Facial Plastic Surgeon” and honored with “The Best Facial Plastic Surgeon Award” by his peers and colleagues. Dr. Diamond has been the featured facial plastic surgeon on E! Entertainment’s “Dr. 90210” for the last seven consecutive years and is used as a plastic surgery resource for such media as the Discovery Health Channel and Entertainment Tonight and publications such as Harper’s Bazaar Magazine, Life & Style Magazine, and People Magazine. * pls note this episode had some challenging technical problems, my apologies in advance.